Find a Paul McCartney Tribute Act for hire near you in minutes! Option 1. Enter your event location below & contact a Paul McCartney Tribute Act directly! Option 2. 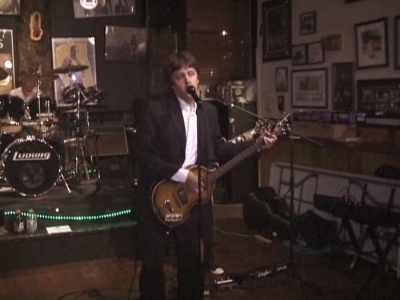 Request multiple quotes from available Paul McCartney Tribute Acts Get Quotes! Option 3. 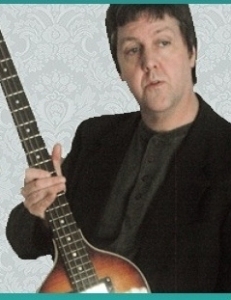 Read information & advice on hiring Paul McCartney Tribute Acts Read Advice! WANT TO KNOW MORE ABOUT Paul McCartney TRIBUTE ACTs? Read on for the most comprehensive guide to booking a Paul McCartney Tribute Act, including how much an Paul McCartney Tribute Act costs, exactly what they will do at your event, plus tips, advice and information to help make your event one to remember! What exactly will a Paul McCartney TRIBUTE ACT do at your event? Paul McCartney is as popular today as he was in the 1960s’ with The Beatles! Over recent years, he has collaborated with artists such as Kanye West and Rihanna on brilliant songs such as ‘ForFive Seconds’ and ‘Only One’, introducing the greatest living songwriter to a whole new generation of fans! Hire a Paul McCartney Tribute Act for your event and you will be appealing to audiences of all ages! You can expect your hired Paul McCartney Tribute Act to cover the greatest hits of Paul McCartney, which is basically a never-ending list of terrific songs! The Paul McCartney Covers Band will also do their best to impersonate Paul’s every mannerism and will also adopt Paul’s image, so it’ll seem like you have the real Paul at your event! Mainly, a Paul McCartney Tribute Act will entertain your audience with a fantastic live show that will put the wow factor into celebrations and impress your guests, whatever their entertainment tastes may be. What event types are Paul McCartney Tribute ACTs hired for? Whether as part of The Beatles, or as a solo act, Paul McCartney has written some of the best love songs ever! Hire a Paul McCartney Tribute Act to perform the best love songs of Paul McCartney at your wedding ceremony and you won’t be disappointed! You may want to book a Paul McCartney Tribute Act to perform a live song as the bride is walking down the aisle?! For this wonderful moment, we would suggest to play songs such as ‘Maybe I’m Amazed’ or the brilliant ‘My Valentine’, which was actually written by Paul McCartney for his wife Nancy for their wedding day! Once the happy couple have been officially announced as man and wife, then you may want to request that the Paul McCartney Tribute Act sing something uplifting to really set the moment off?! May we suggest ‘Band on the Run!’ for that precious moment! The wedding drinks reception is the time of the wedding day when the bride and groom greet the wedding guests and get to socialise properly for the first time that day. The wedding guests will usually be kept happy with light refreshments such as Champagne and snacks whilst they schmooze. Why not soundtrack this beautiful moment by hiring a Paul McCartney impersonator to wow your guests?! One of the many wonderful things about Paul McCartney is that his music can range from electrifying Rock n Roll to easy-listening classics. Some mellow McCartney would be great for the music entertainment at your wedding drinks reception! We would suggest songs such as ‘FourFive Seconds’, ‘Only Our Hearts’, ‘Blackbird’, ‘And I Love Her’ and the sublime ‘Mull of Kintyre’ as the background music for the wedding drinks reception. A Paul McCartney Covers Band will work brilliantly at a wedding breakfast due to the huge amount of musical genres that can be covered! The Paul McCartney Tribute Act can be performing when the wedding guests enter the wedding breakfast venue, playing the very best of Paul McCartney to help break the ice amongst guests that don’t know each other. Songs can include ‘All My Loving’, ‘Let it Be’ and ‘I’ll Follow the Sun!’. The Paul McCartney Tribute can perform as the wedding guests enjoy the wedding food and drink and can carry on playing right up until the wedding speeches! After the wedding speeches and the cutting of the wedding cake, the Paul McCartney Tribute Band can carry on performing as the bride and groom lead the wedding guests out of the wedding breakfast venue! The wedding drinks reception is the time of the wedding day when the wedding guests can really let loose and party! So, what better way to soundtrack this than by hiring a Paul McCartney Tribute Act?! Paul McCartney has a hell of a lot of Rock ’n’ Roll songs and songs to party to which would be fantastic for the music at a wedding evening reception. Out advice would be to tailor a setlist to include these party numbers: ‘Let me Roll It’, ‘Live and Let Die’, ‘Maybe I’m Amazed’, ’Saw her Standing There’, ‘Eight Days a Week’, ‘Drive My Car’, ‘Yellow Submarine’ and many many more! The Paul McCartney Tribute Act will keep on performing into the night with a group of talented musicians and can also provide a fitting first dance song for the newlyweds to dance to such as ‘And I Love Her’. As Paul McCartney is regarded as the greatest living songwriter, then we would strongly advise hiring a Paul McCartney Tribute Act for a product launch or a trade show! The hired Paul McCartney will be able to cover most McCartney songs such as the best hits of The Beatles and the greatest hits of Paul McCartney and Wings!. This will stop many potential customers in their tracks and bring a lot of priceless attention to your company! The Paul McCartney Tribute Band would be ideal as the musical entertainment for a work Christmas party, a colleague’s leaving party, or a work Summer party as Paul’s music will be a dazzling ice-breaker for co-workers who may not usually get the chance the speak in the work place on a day to day basis. If you’re looking for entertainment for your 1960’s themed party, then a Paul McCartney Tribute Act would be extremely fitting! As part of the biggest band in the world; The Beatles, Paul McCartney made some of the biggest hits of the 1960’s. If you know somebody who is a Paul McCarney mega-fan, then you may want to hire a Paul McCartney impersonator to run through Paul’s biggest hits at their birthday party?! With ‘Wonderful Christmastime’, Paul McCartney released one of the biggest Christmas songs ever! This is why hiring a Paul McCartney Tribute Act for a Christmas Party would be an excellent choice and it goes without saying that they will also be able to perform a whole host of McCartney’s greatest songs as well! How much do Paul McCartney tribute ACTS cost to hire? Our simple to use entertainment directory allows you to firstly search for the best Paul McCartney Tribute Acts who are local (or travel to your area) and then via the contact form you may message them directly to enquire for a no obligation quote to perform at your event. Some acts will also add a rough price guide to their profile for your convenience. What are the usual set formats and performance lengthS for Paul McCartney tribute acts? A Paul McCartney Tribute Act can tailor their performance times to suit you and your event, however, on average, a professional Paul McCartney Tribute Act will perform for two 45 minutes sets. How much space will a Paul McCartney tribute act need at your event? If your Paul McCartney Tribute Act comes as part of a full band, then you will need space for a full band back-line. This will mean that you’ll need a stage area of at least 4 metres by 3 metres. What equipment and set up requirements do Paul McCartney tribute acts need? 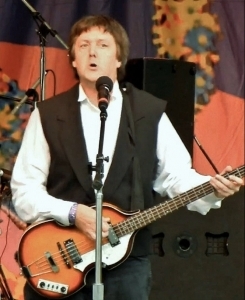 As with most artists who sign up to Entertainersworldwide.com, a Paul McCartney Tribute Act will provide all of their own equipment. You may want to enquire if they need a PA to amplify their sound, in which case we would advise to use our easy to use messaging service to find out. We do ask that each performer gets a backstage area in which they can prepare for the performance ahead. If your venue does not have a backstage area, then we kindly ask that you enquire with the venue to seek an alternative space in which the performer can comfortably get ready to entertain. How can you find and book a Paul McCartney tribute Act with Entertainersworldwide.com? WANT TO RECEIVE A RANGE OF QUOTES FROM Paul McCartney Tribute Acts?